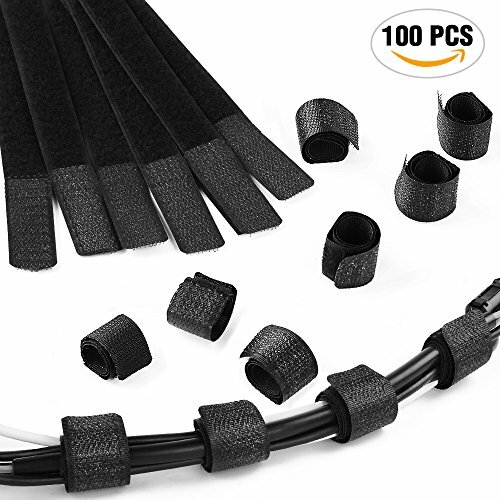 ♠Package included--100pcs x 7\'\' black cable ties. ♠Size--2cm x 18cm/0.79 inch x 7 inch, meet your requirements. ♠Material--Made of high quality nylon fabric material with attachments, the cable ties are reusable, releasable, sturdy and durable. ♠Design--Detachable design is convenient to use. Ideal for keeping all kinds of cords cables well organized and tidy in place. ♠Multi-purpose-- Great for computer, appliance, and electronics wire management; Great for cable or wire organized and tying use, and easy to make marks. Made a lot of friends very happy.